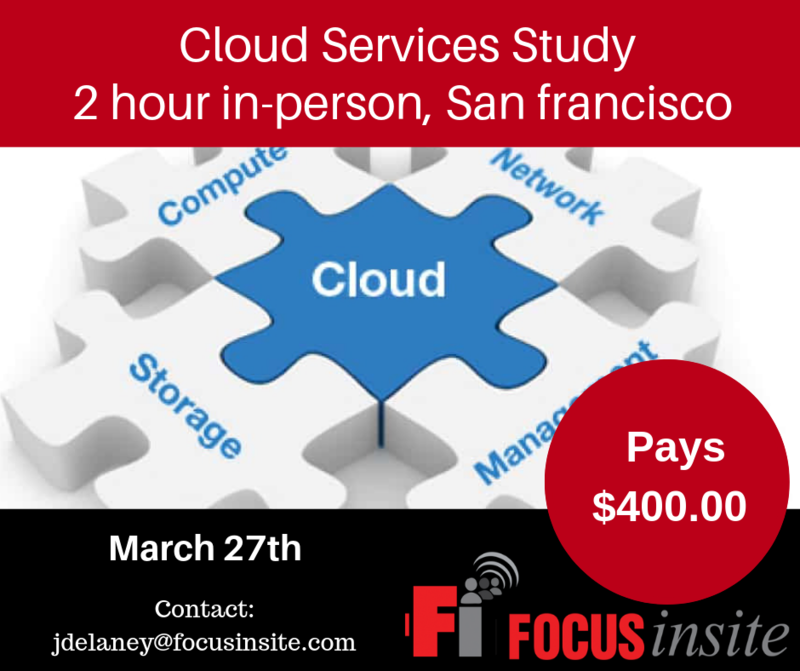 Developers Needed – $400 for 2 hr in-person Focus Group on Cloud Platforms – Wed Evening! Developers needed to take part in a marketing research study on the topic of Cloud Services. The 2 hour, in-person focus group would take place in San Francisco this week, Wednesday, March 27, 2019 at 7:30 pm and pays $400.00 as a thank you for your time and opinions. This will be a workshop session to brainstorm and ideate on an existing concept in the area of cloud services. If you are interested in participating, please answer the questions in the brief qualifying survey and a member of our team will be in touch to schedule your interview should you qualify.